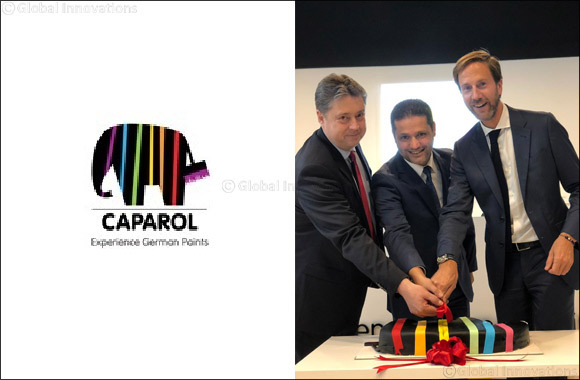 SHARJAH - November 06, 2018: Caparol Paints, a global provider of German paints and coating solutions, launched its new showroom at Beena centre, King Faisal Street. Caparol achieves a milestone with the opening of the new store in UAE. The store showcases an array of innovative products and finishes aimed at supporting contractor companies - interior designers, paint professionals and home owners to select the most modern and sustainable products for their needs. Caparol Paints designed the new showroom to portray the brand's German roots by displaying both conventional and modern product ranges. The store marks Caparol's commitment to strengthen and support its regional reach and distribution. It also enhances the brand's ability to help customers to choose the right colours, paint textures, styles and looks. The idea behind this is to bring the German brand closer to the customers and offer best quality products with best service experience. The new showroom will also have on display Caparol's new luxury product - Caparol Icons. The latest collection of luxury paint with 120 colour shades, is environmentally friendly and boasts a unique colour concept. The colours have been carefully curated to reflect the classics from six decades of colour culture. The collection of interior paints and varnishes comprises an exclusive range of colours for matte and elegant surfaces including walls, wood and metal finishes.